All ponds need some sort of regular maintenance. 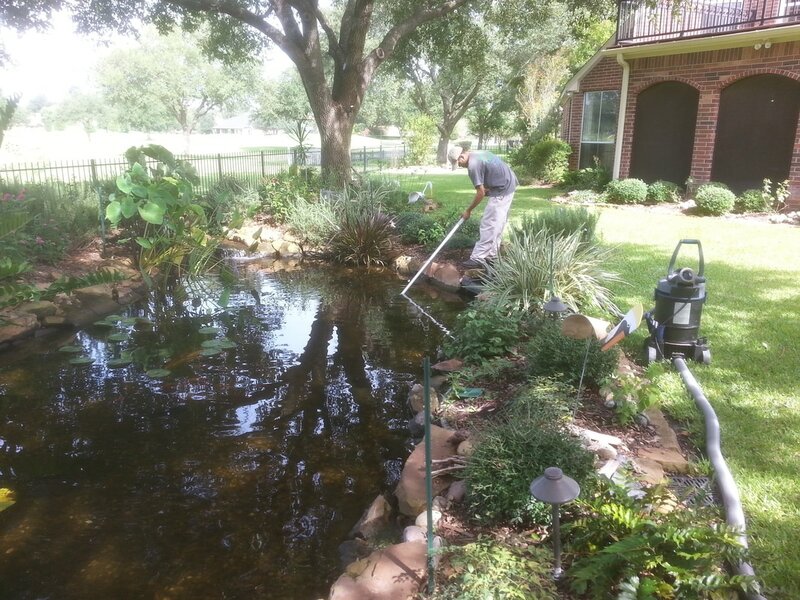 Most ecosystem pond owners are able to perform the limited maintenance required to keep their ponds in perfect operating condition by themselves. 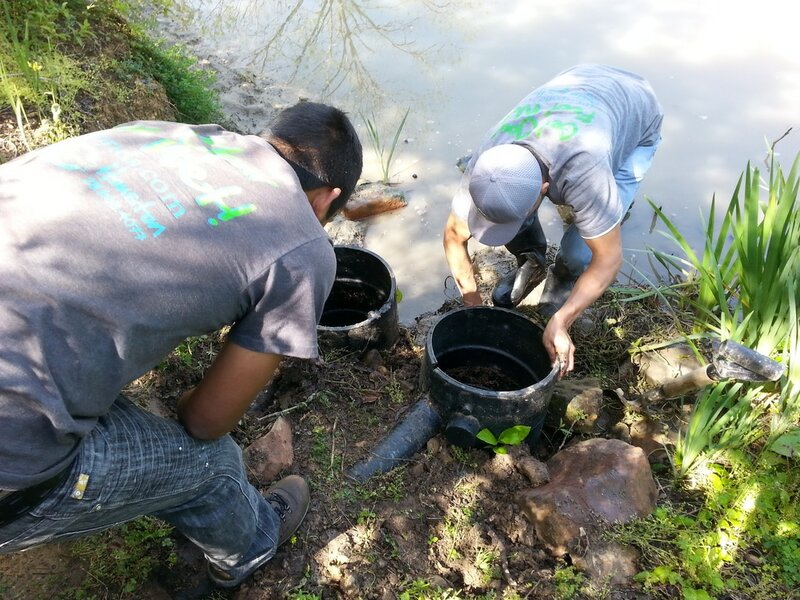 Some people need a little extra help with their ponds because they travel frequently or just don't have the time or physical ability to perform the type of maintenance that their pond requires. Others may have bought a house with a pond or water feature that they don't know how to take care of. That's where we come in! 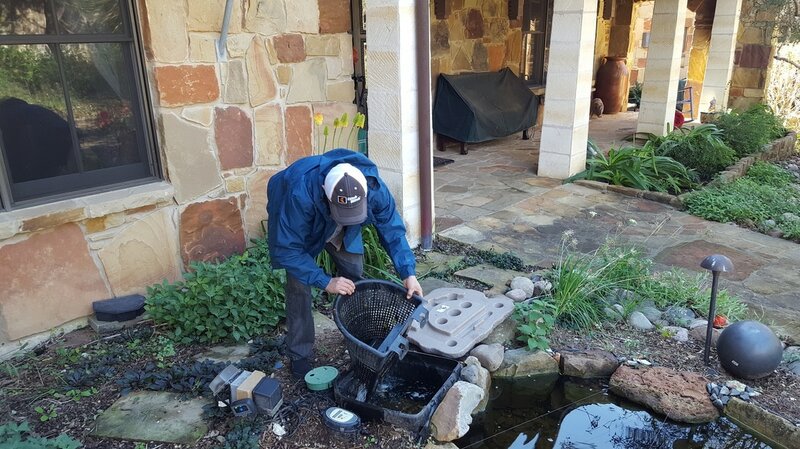 With over seventeen years in the pond and water feature industry in Austin, TX we've seen just about every pond system imaginable and we're familiar with how most of these systems operate and what they need. You can trust the experience of our experts to provide top-quality care and service to your piece of paradise. Annual maintenance contracts start at $250 per monthly visit. A cleaning and inspection may be required before a maintenance contract can be initiated. 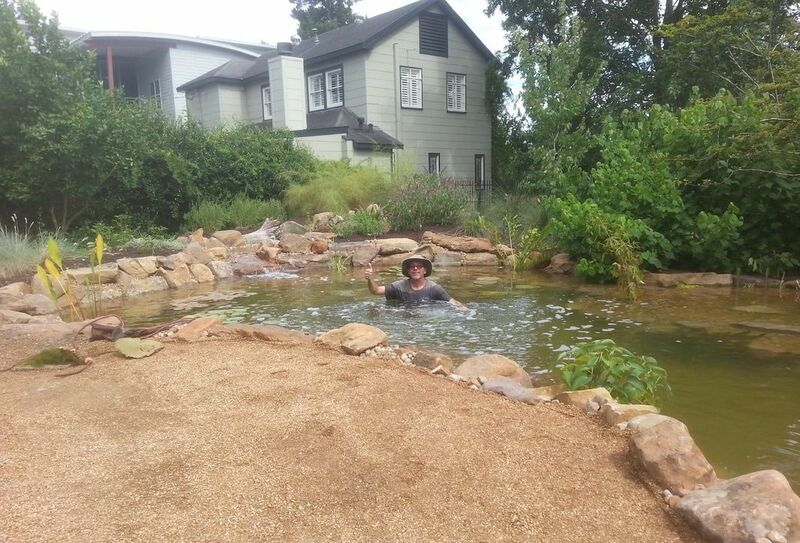 Send us pictures today to get started and get back to enjoying your Koi pond instead of working in it!